It has been too long since I tried Skippys Pizza's fares, the previous review was at their first outlet in Phileo Damansara. 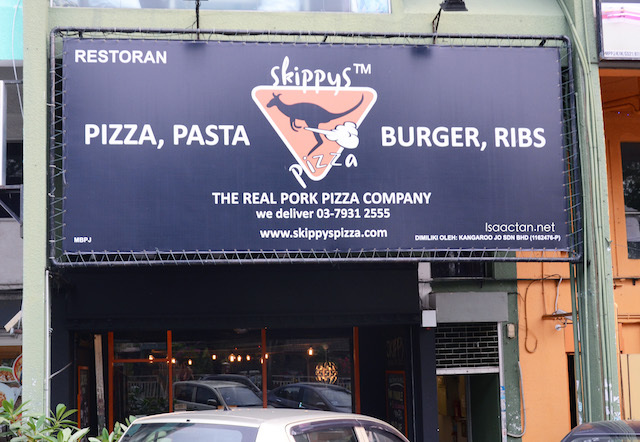 This time around, I tried their yummy noms at the new outlet Skippys Pizza in Damansara Utama, mostly non-halal porky delights. In fact there's pork in nearly every single dish which we tried that evening. Check out what we had below. 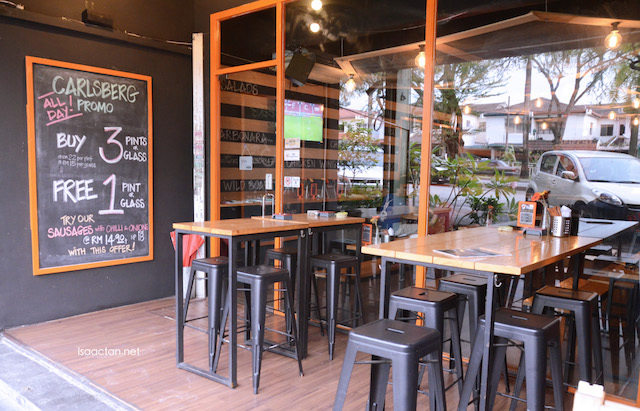 The outlet itself exudes a very comfy ambiance, dimly lit on the inside, with a small outdoor area for those who wishes to dine outside. 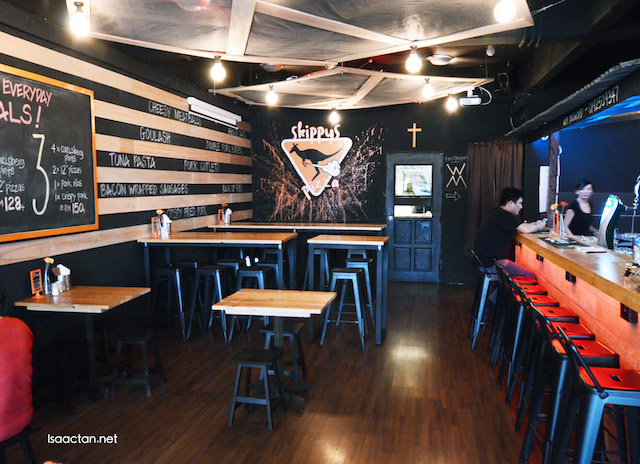 Skippys Pizza serve a multitude of dishes ranging from pizzas, burger with fries, pastas, salads, and bar snacks. 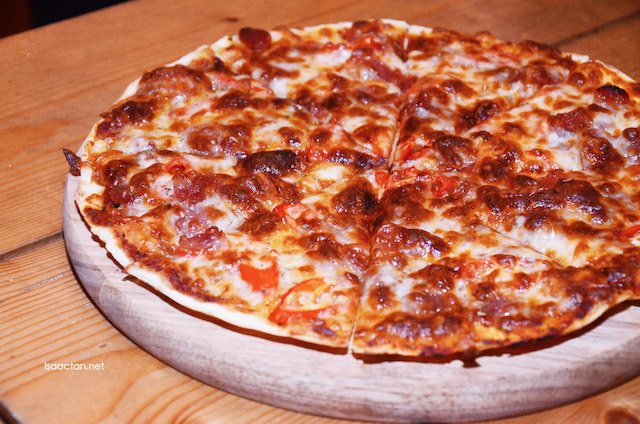 They have one of the best pork pizzas in town though, and that was one of the first dishes we ordered that evening. On Skippys meaty pizza menu would be this delectable Ultimate Hawaiian Pizza, with generous portions of pulled pork, sausage, bacon and pineapples placed atop the very thin crusted pizza. Not bad at all, with chili included for that extra spice. 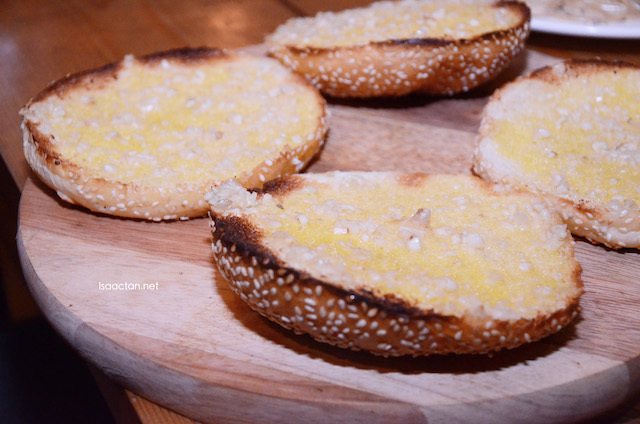 The garlic buns offered by Skippys Pizza is great even to be eaten on its own, as they did not hold back in making sure there's lots of butter and garlic spread out of the crunchy buns. Good to be taken too with the Chilli Mussels that came next, as they go very well together. 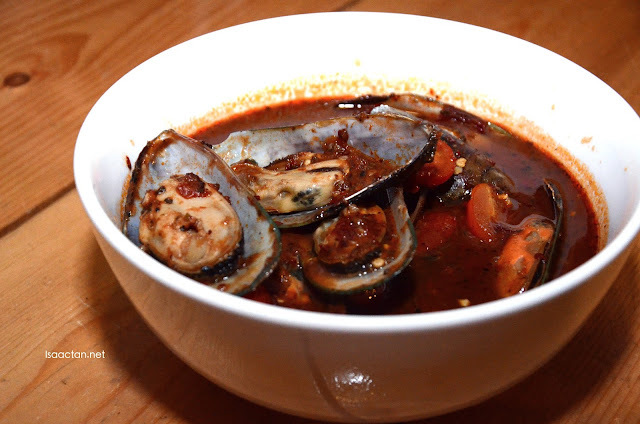 I'm not a mussels fan, hence I had the garlic bun on its own. 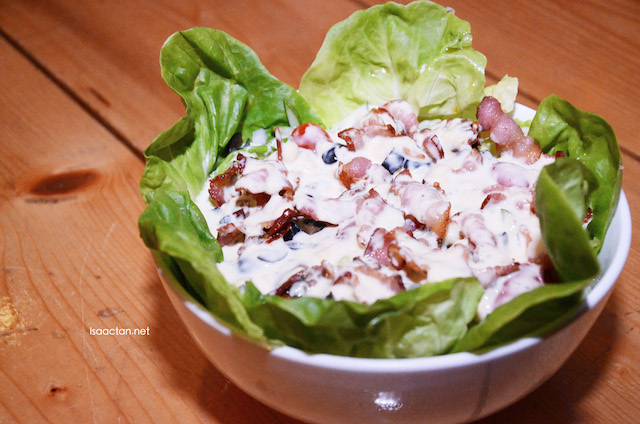 A salad which is not your usual healthy veggie choice, Skippys' Salad is filled with sundried tomatoes, olives, anchovies and my favourite bacon. 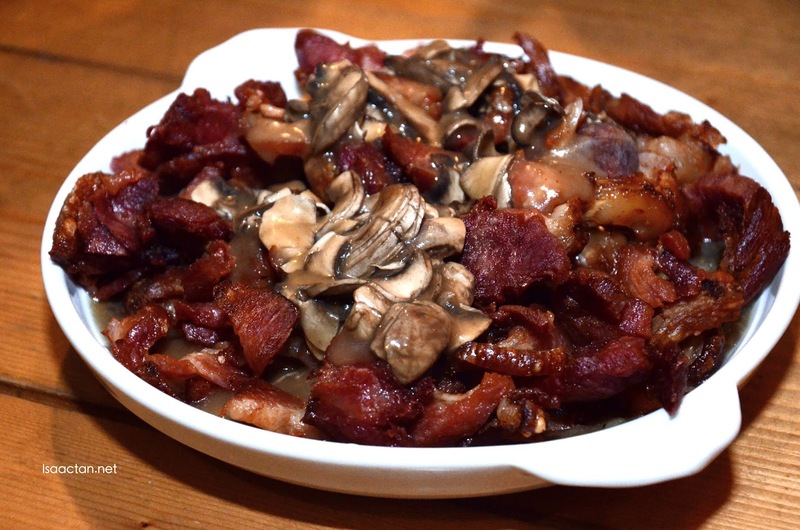 Served in a bowl, perfect light meal to prepare us for more meaty dishes to come. Let's start off with the meat dishes first shall we? Suitable for the carnivores in us, do go for their recommended Pork Ribs in 7 Sauces as well as the Crispy Fried Pork. Found on their rather extensive bar snacks menu, these are perfect to go with your drinks, be it beer or liquor. 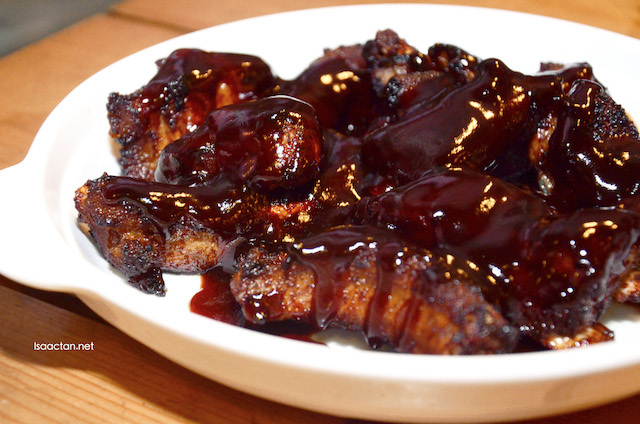 Love how tender the pork ribs turned out, doused in seven different sauces for that exquisite savoury and sweet flavour. You know you're in for a treat when a whole platter of Pork Knucles is served, complete with fried potatoes and salad on the side. The platter is a sharing platter, as I do not think any one person could finish all that in one serving. 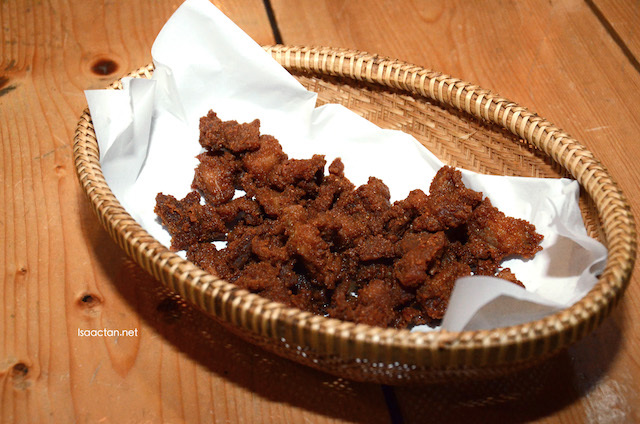 Good stuff, done just right, crispy outside, moist and tender meat inside, with tasty sauce. There's a whole lot of mushrooms too in the mix, my favourite dish for the night. Getting a good pork burger nowadays is no easy feat, so its with great delight I introduce to you Skippys' Glutton Pork Burger! Messy yet beautiful, we have these huge slab of pork patty with strips of bacon, egg and mushrooms, all tucked between two nice buns. 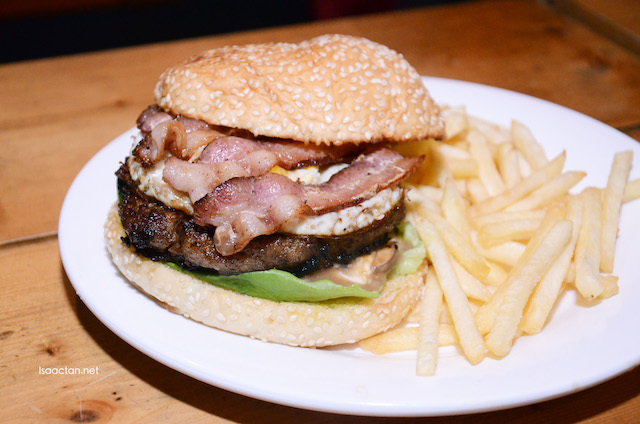 Served with generous portions of fries on the side, another must order dish if you're into burgers. Lots of pasta dishes were to be found on Skippys Pizza's menu as well. 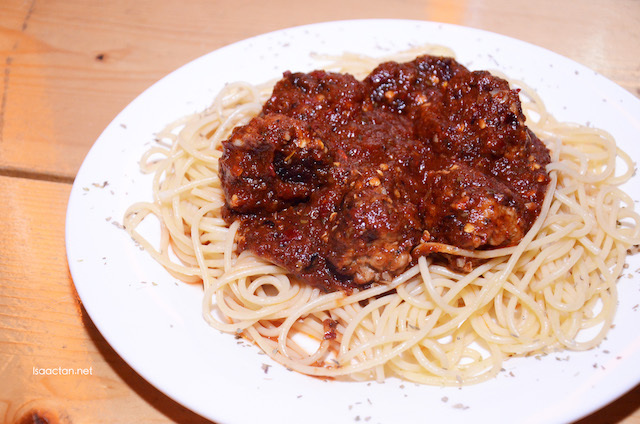 We tried the Cheesy Meatballs with Spaghetti, where there's a choice of having pork, chicken, lamb or beef as well as either having the spicy or non spicy version. Good stuff, some of the best pork dishes can be found at Skippys Pizza, so be sure to drop by the next time you're in the vicinity!